A fundraising concert will be organised by Team Laos of ISLE to raise funds for its cause of serving the villagers of Na’ Khom Village (2nd Inner Village), Pa’ Bong Muncipality, HinHeub District, Vientiane Province, Lao PDR. The ISLE Laos Concert will be held on 15th August 2014, 1900hrs to 2130hrs at RI PAC. This year, we hope to achieve a concert that is lively and cheerful, titled ‘Where Dreams Come True’. This ties in closely with our goal of bringing hope and empowerment to a rural village in Laos through the construction of facilities that enable the villagers to live more self-sufficiently and safely, with sanitation and access to basic necessities such as water. Be induced into the state of dreaming as Chinese Orchestra presents their very own arrangement of a Frozen medley arranged by their alumni and consisting of the popular tunes like Do You Wanna Build a Snowman and Frozen Heart. This is followed by Bengawan Solo and Matsuri. Guitar Ensemble will then lead us to Somewhere Over the Rainbow, journeying throughout the English County Garden, listening to the tunes of Calypso and eventually Counting Stars in the amazing night sky. Chamber Ensemble will then manoeuvre elegantly through time, starting with the First Movements of Rossini to the modern era of a Movie Medley, allowing us to appreciate a Good Day. Rocking us away with the well known tunes of Coldplay, Paramore, Of Monsters and Men, Pharrell Williams and Two Door Cinema Club, Raffles Rock first questions what you know before attempting to Fix You from the state of vanquished dreams, bringing out the Monster in your dreams, providing the Little Talks required to pursue a Happy life. Raffles Jazz will ensure you continue Feeling Good with their awesome instrumental jazz standard Bag’s Groove, all sung by their very own Nature Boy (which also happens to be a Latin rendition inspired by Casey Abrams). RGS International-Dance Alumni brings us back to the moments which leave indelible imprints on our hearts, moments which stay Gold Forever. 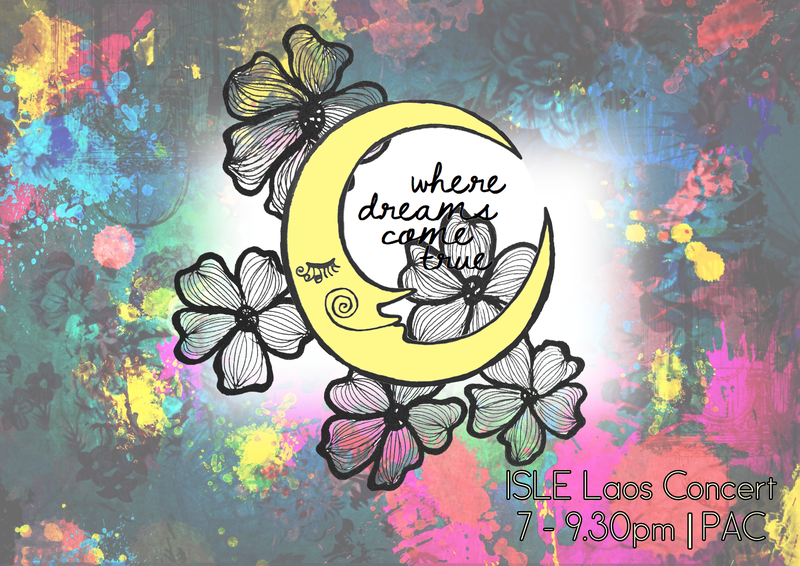 Visit their canteen booth this week during your breaks or approach any friendly ISLE Laos member to purchase tickets!